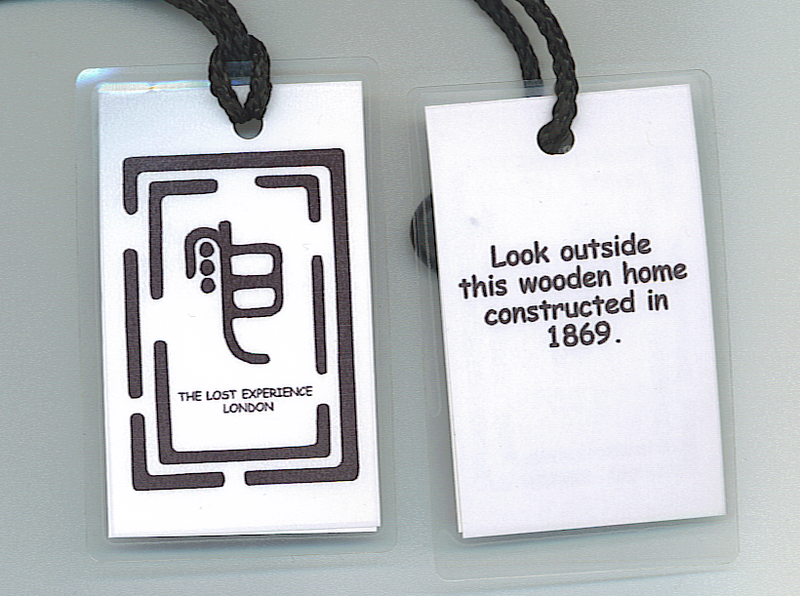 Today me and Peter went to London to participate in the Lost ARG. An ARG is an “Alternate Reality Game” where you take part in a mystery that you have to find the answers to. Anyway, I met Peter inside of Wood Green Tube station at 10 am, where we took the tube to Holborn where we changed to the central line and went to Tottenham Court Road. We then proceeded to then spend the next 45 minutes, walking around trying to find the store called “Forbidden Planet.” We gave up after 45 minutes because the experience was about to start (12 noon). We took the DLR to Island Gardens, where we went an met with the organisers (who gave us free magazines). We were late by 5 minutes and everyone had left by then, much to Peter’s delight (WTF) “Now I can be the leader” Peter exclaimed. 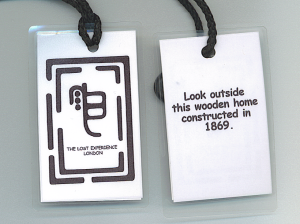 Our first clue was on the back of our Lanyards which was “Look outside this wooden home, constructed in 1869.” Can you guess? NO?! It was the Cutty Sark. We spent 5 minutes looking around the outside of the ship (home :P) untill another fellow ARG’er pointed out that it was on one of the flags. The clue on the flag read “A Place Christopher Wren built, where East meets West.” We both thought of the GMT line (Prime Meridian) where east does indeed meet west. We then walked through the naval college and up the hill. Peter ran up to the top of the observatory and saw that the answer to the quest was written on the grass in huge letters. Peter tried to get a telescope but tourists were using them. He used the remaining time from their money to look at the glyph from above. After sighting the glyph, Peter ran down the hill, and took a closer look. To his horror he didn’t have to run up said hill, but there was a piece of acetate duct taped to the grass in the bottom corner. 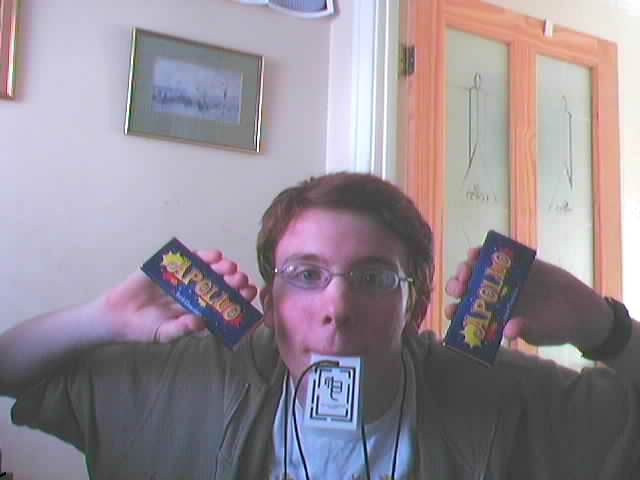 So after that trek around London peter and I procured some chocolate and drink, and headed for McDonalds. Just before entering Richard off big brother strolled out of the DLR station surrounded by bodyguards and paparazzi (if you find a picture of us in the paper please tell us or post it here 😀 ). After devouring a McDonalds, we made our way to Forbidden Planet, now knowing the rough location. Eventually we found it and got ourselves some Apollo Chocolate and bought some prezzies for a mate. After 6 hours of walking (from 10am until 4pm) we decided to go home. All in all it was a great day, a sunny day!